Drop Slides. Get your thrills here! 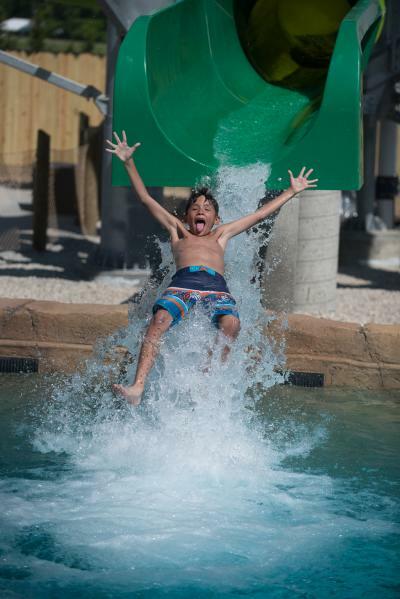 The sandpiper splash slides twist and turn before eventually dropping you 4 to 6 feet into a pool. No tube needed, just be at least 48" tall to enjoy this part of the Otter Banks adventure. Sea Challenge Obstacle Course. Challenge a friend or just test your inner water warrior on the Sea Challenge Obstacle Course. This challenges two participants to make their way through obstacles and be the first to make it to the wall. 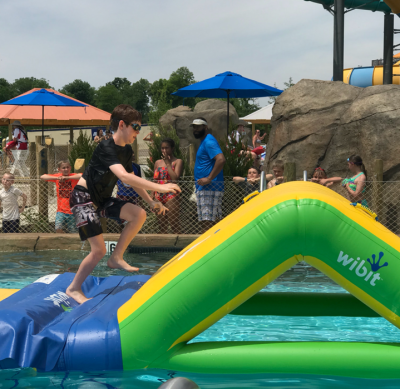 When you&apos;ve reached the wall, slide into victory and back into the pool! Just be between 44" and 74" tall to take on the challenge. Sand Dollar Shores. 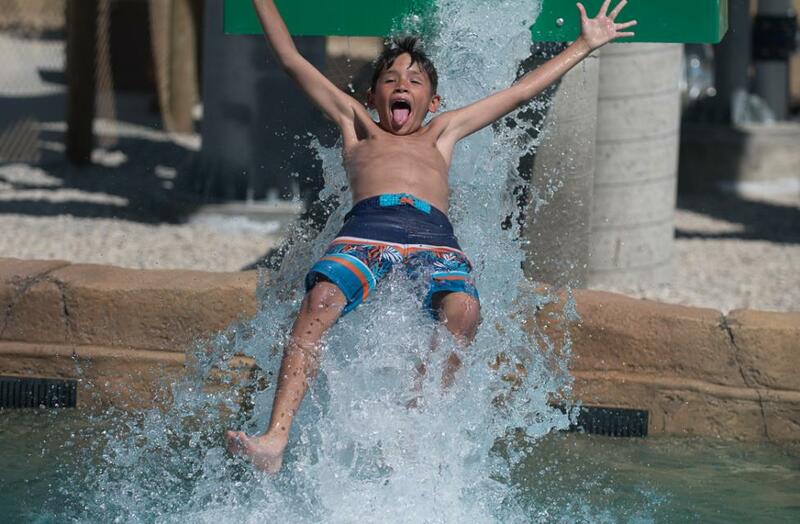 Enjoy cascading waterfalls and a relaxing seating wall at Sand Dollar Shores. This area offers water basketball and a 3 foot pool for even more fun! Relaxation. In addition to the water attractions, Otter Banks offers expanded lounge seating so you can relax on the shores. Lounge chairs are open seating and brand new cabanas are available for rental so you can host up to 15 people in your very own shaded oasis. Click here to find out more about cabana rental. Tacos. Seriously, do we really even need to say more? Take a break from the aquatic fun to enjoy Otter&apos;s Street Tacos, which offers a variety of street tacos, snacks and ice cold beverages.